May 19, 2014 | David S. Maldow, Esq. 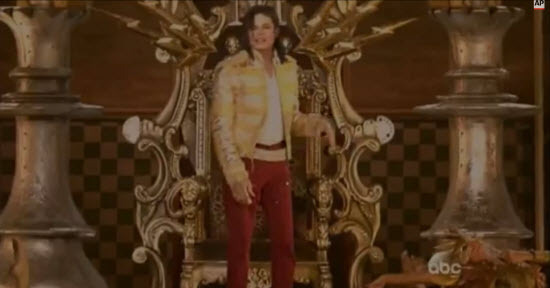 This appearance by Michael Jackson at the Billboard music awards may seem a little Off the Wall to some, and others might just think its Bad. On the other hand, it's Human Nature for us look at new technology and say Don't Stop Till You Get Enough! While today's user friendly videoconferencing solutions can now be as easy as ABC, more convincing 3D effects are still impressive. It is unclear whether this demonstration used the Pepper's Ghost effect, putting the Man in the Mirror to create a 3D image, or some other technique, but the result was stunning and the audience seemed to think nothing could Beat It. This isn't the first time we have seen holographic performers from beyond. While some might feel its Dangerous to tread upon a performer's legacy this way, others in the industry clearly Wanna Be Startin' Somethin' so we should be expecting more of these performances. You can Say Say Say whatever you want, but this issue is as simple as Black or White. Even if you still aren't impressed by the state of 3D holographic technology, it won't be long until you have to admit that it is a Thriller.